Any pastor can tell you that life in pastoral ministry can be as challenging as it is rewarding. Pastors must tend to their own spiritual development while shepherding the spiritual lives of others. That reality makes it all the more imperative for pastors to continue building their capacity for the pastoral task. 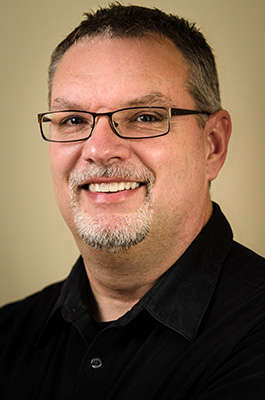 As Dr. Steve Mathewson assumes leadership of Western Seminary’s Doctor of Ministry in January 2018, he hopes to bring exactly that sort of encouragement and challenge to pastors. Dr. Mathewson gets ministry. After twenty years pastoring urban and “rurban” (rural + urban) churches in Montana, he moved to Chicago to lead the congregation at CrossLife Evangelical Free church—where he continues to serve today. Even while leading the DMin program he’ll continue onward into his fourth decade as a pastor. He also gets Western Seminary. He completed his M.A. in Old Testament Language and Exegesis at Western on the path to pastoral ministry. While he was at it, he received the Arthur B. Whiting Award in Biblical Literature. He’s even been back on multiple occasions to teach Doctor of Ministry courses at his alma mater. Whether or not they are familiar with his ministry, many pastors may recognize Dr. Mathewson as author of a variety of books on preaching. Most notable among them is The Art of Preaching Old Testament Narrative, which Preaching Magazine placed on their 2010 list of the 25 most influential preaching books in the last 25 years. For all the influence he’s had in church communities, Dr. Mathewson’s gospel-centered influence will also now stir and revitalize a new generation of pastors.